Does anyone knows if there is a limit per second adding messages to an Ensemble queue? I have a Business Service working and sending async requests to a Business Process, but I can't reach no more than 60-70 messages queued per second. I've done several tests and same behavior seems to happen with all our productions. So I was wondering if there is a parameter anywhere to maximize the number of requests that can be send to a queue per second. Is it possible to know the names of the sub-directories in the case of an FTP type service adapters? I know how to do it for the file type. Or can you transfer files from an FTP directory and sub-directories to a server by keeping the structure? I created a connector of type "Services" having for name of class "EnsLib.File.PassthroughService". In the parameters, the value "FileSpec " was "*" and the "FilePath " pointed to my directory " .... Documents "; whereas "TargetConfigNames" was empty. Much to my surprise, as soon as I activated this connector, all the files were deleted. Do you know a way to get back them? Are they in the system of the ESB? I know that programs can undelete files. I have already used this type of programs. I am trying to find out when a Business Service was created, and by who. I have reviewed the audit trail and it doesn't appear that this information is actually logged there. I am hoping that this might be logged in a SQL table or global someplace. I have reviewed the SQL tables in that namespace and have come up empty. 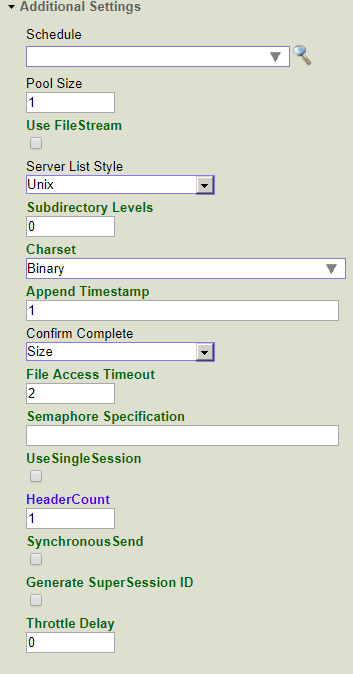 I thought it might be located in Ens_Config.Item, but that table is sparse. Anyone know where this information might be logged? I am not able to understand what goes wrong. 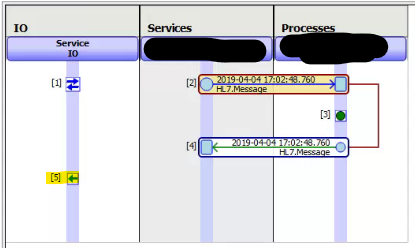 If I look at the trace on messages in the ensemble message viewer there are no errors. The response message displayed in the trace looks like it is successful but in the SOAP UI tool I get the error message in the response. I have tried with $username but it only return "_Ensemble" when running from ensemble although it works in Studio. I was wondering if there is any information about the events I can use when using a business service. I am using "OnProcessInput" event to define the logic of my script but I would need to run a different script when finished. I guess it would be easier to understand if I provide more information. My business service just calls a store procedure to receive messages from a database. Once there are no messages received I need to run a different query but I cannot find any option to determine when the last message has been received. I found OnClose and OnTearDown events...but those are more production related and not working as onteardown is called before onprocessinput. I have a service that uses the EnsLib.SOAP.InboundAdapter, and I seem to be facing an odd problem. Our clinical document system sent a request which contained a word document in base64, and was presented with the error "ERROR #6253: Datatype validation failed for tag payload (ending at line 1 character 2111). Unexpected tag <ClinicalDocument> found." I took a look at the word document sent, and found it contained an image which made the document size about 4MB larger than the average document. I resent the document both with and without the image while monitoring with Wireshark, and then compared the structure to make sure there was no glaringly obvious differences, and there wasn't (I used winmerge to do the comparison). A file-based business service uses a local path on a Linux machine that is actually a mounted CIFS share. The mount is "soft" and is designed to not cache data, etc. 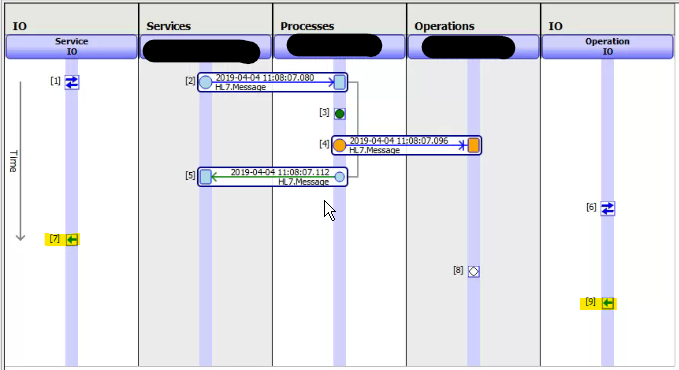 There are times however when the remote system offering up the share (it's a Windows machine I believe) gets bounced or otherwise hung up the business service in the Ensemble production just hangs. I have a business service that needs to run only once a day at an specific time. It is important that the service only runs once. I have tried the scheduler but you can only define the times (start-stop) when the service will be running...so this will not work for me as I need this to run only once. I need to route a file based on its type in Ensemble Production. But I don't want to write a Business Process code to achieve this. 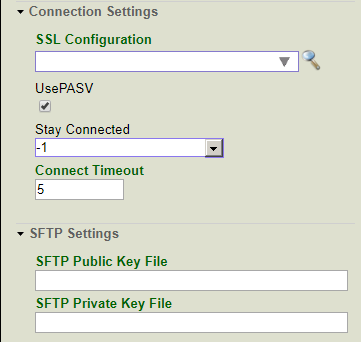 Am using FilePassThroughService to get a file. There are two FilePassthrough operations for different type of files. Is there a way to get the list of Business Services from a command line call? We are trying to see if there is a way we can automate bring down our Inbound Business Services during a fail over.